Vinyl editions of the album present the tracks in a different order to the CD editions, and list 'I Found The End' as a second track entitled 'I Found The F'. Not only is this their finest album, its also the finest pressing to own on vinyl! Blows away the repress in every way. Perhaps that's one of many reasons this pressing has skyrocketed in price in the last 6 months. If you are a fan then this is a must have! 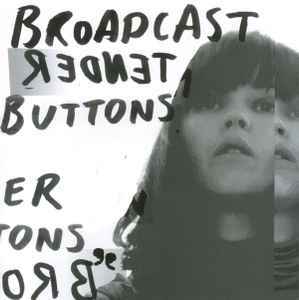 Recently re obsessed with broadcast - this re issue sounds amazingly, buying others on the strength of this. Very good copy. Sounds awesome! Buy it without fear. Has no surface noise and the mastering was very well made. only one night! outstanding album can ruin itself. money is a poor thing!!! They sound just like Steriolab to me...I don't know what all the fuss is about. Should've listened to des_white just picked up Tender Buttons for 150 as a Christmas present for this last year FML. Great news that this is all getting reissued, fantastic band that reminds me of bein' happy. One of the finest rock albums I own. Trish Keenan and James Cargill made this ablum as a duo, instead of being backed the larger ensemble from prior albums. And while the sound changed, the artistic success of this album is evidence of just how much Trish and James must have been united in their art, and in what Broadcast was doing up to this point. It is my impression that prior members perhaps toured with them for this album, however I was not lucky enough (or mature enough in my taste at the time) to see Broadcast when they toured for this album. Tender Buttons succeeds because it surpasses the sum of its elements. The contrasts are where much of the its strength is found. The sometimes pop melodies coat the complexity and thoughtfulness of the poety, and the dissonance of the instrumentation scratches the surface of exquisitly composed melodies. What you find is an album for close listens, an album whose rewards are rich but require attention and engagement. This is an album to be enjoyed for many years. If you give it time, it doesn't just pass through. It leaves a need for more, and if you are so inclined, seek out their earlier works for more top-notch art. Broadcast continue their microtonal takeover of the pop world with their 3rd album, _Tender Buttons_. Their skewed melodies are still in full effect, with more feedback and distortion to haunt Trish Keenan's icy vocals. "Black Cat" tips its hat to an acidic Alice in Wonderland, while "America's Boy" has a keening beauty to it, like Saint Etienne sent through an echo chamber. For those who want more delicacy, "Tears in the Typing Pool," has that in spades, as well as a white-collar melancholy that you don't hear too often in songs. "Arc of a Journey" has a bleeping spaciousness to it that hint at their earlier work, even as the modulated steel drums come in, but overall, Broadcast seems to move further and further into abstraction -- not a bad thing, by any stretch of the imagination. They hold a bit of pop in their hearts, as evidenced by "Michael A Grammar" and "Goodbye Girls." The lullaby-like "You and Me in Time" helps cement their status as some of the more forward-thinking pop bands around.